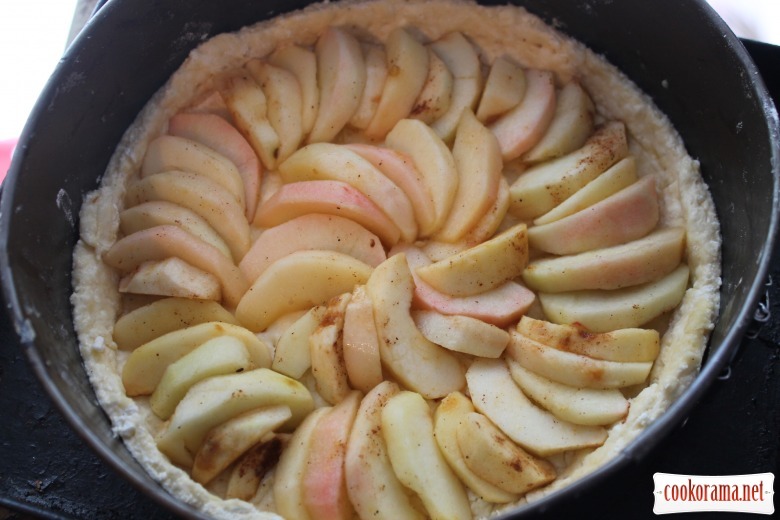 A delicious, fragrant apple pie with cream filling, and although I like apples more in natural kind, but in some recipes, they are unrivaled — like in this recipe. Recipe for apple flashmob. 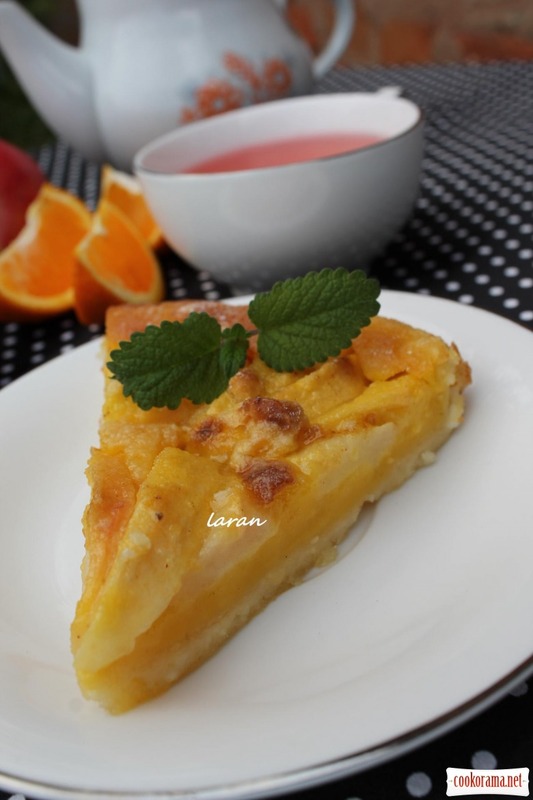 By the way, pie turns out not very sweet, so you can add sugar as much as you like. Separately, mix the flour, salt, sugar and vanilla. Also, in a separate bowl chop butter and cheese, add dry ingredients and chop again and in the end add sour cream, roll out the dough in a bun and send into refrigerator for 15 min. 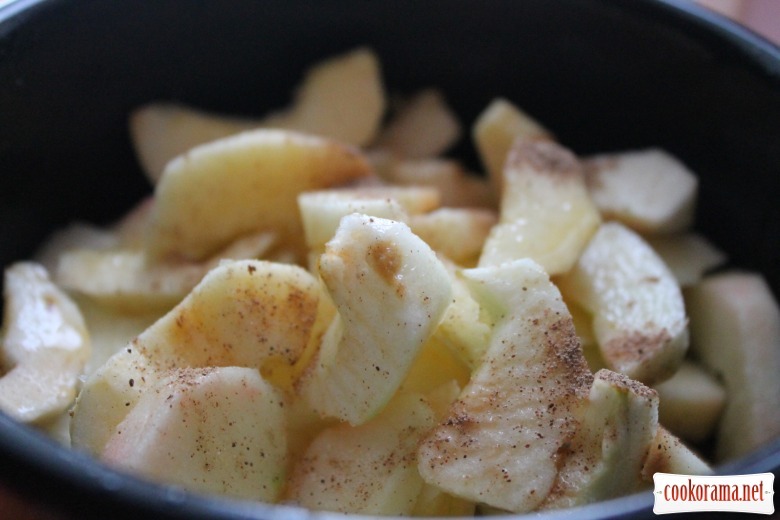 Meanwhile, chop apples into half rings, sprinkle with cinnamon,squeeze out orange juice and bring to the boil, turn off the heat and let cool completely. Let us return to the dough: get the dough out of the refrigerator, smooth in form, prick with a fork and send into refrigerate for 15 min. 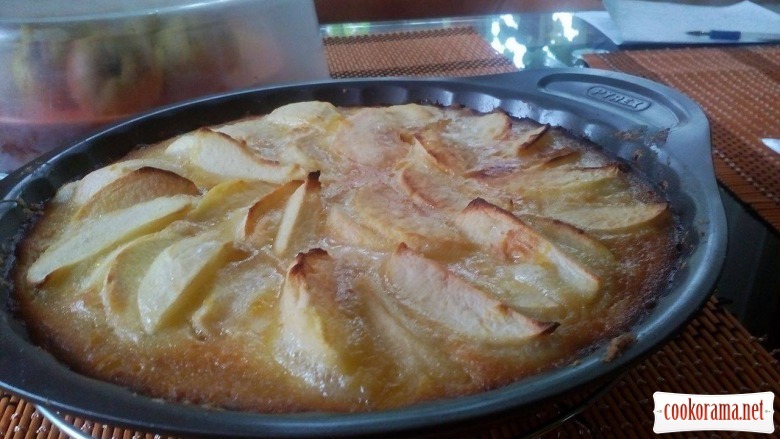 Heat oven to 200 degrees and send the form with the dough in the oven for 10 minutes, take out and pave with slices of apples in a circle. 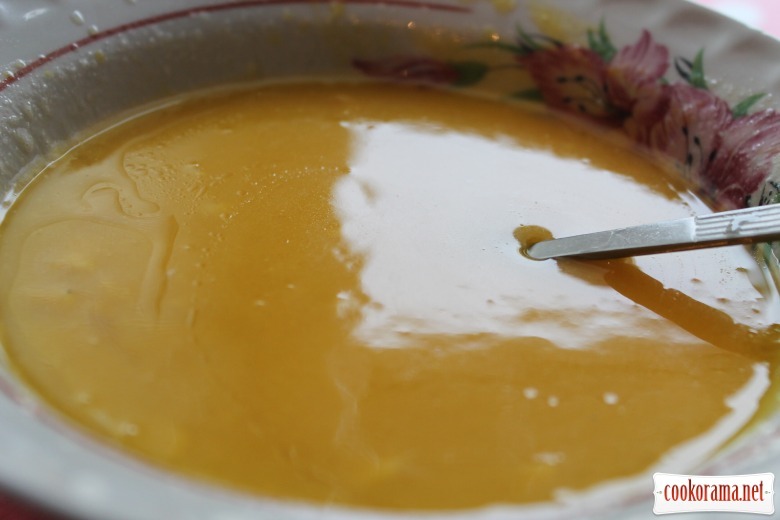 Mix sugar with flour for filling, melted butter, yolks, you'll get the consistency of thick cream. 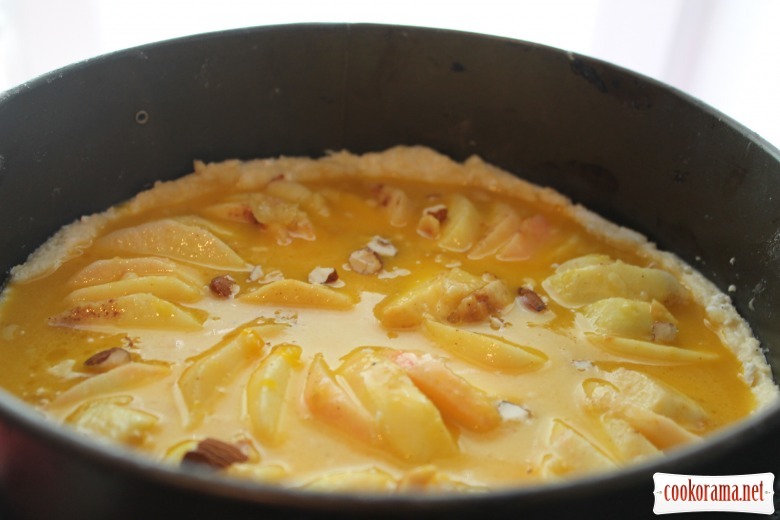 Add nuts to the filling and evenly pour the pie with it. 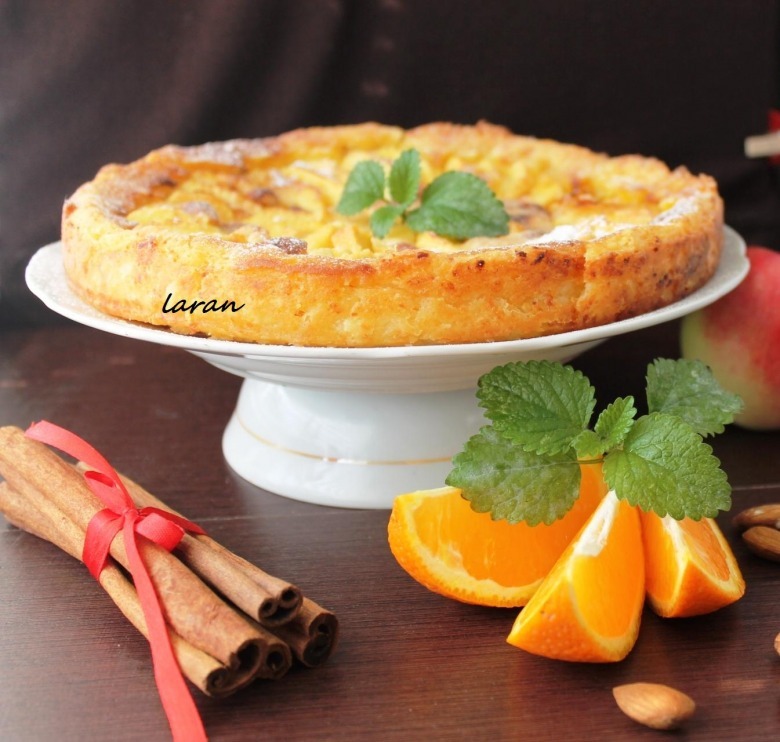 Reduce oven temperature to 180 ℃ and bake tart for 30-40 minutes until the cream sealing. Be focused on your oven. Tack out pie from the oven, sprinkle with powdered sugar, let it cool completely in the form, then sprinkl again with powdered sugar and serve to tea. 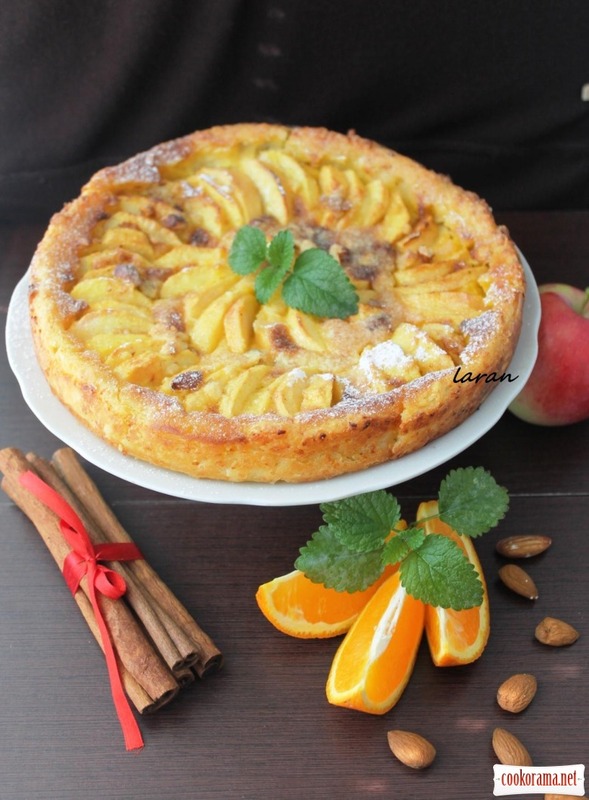 Top of recipe "Aromatic apple tart"
Який же він файнесенький! Супер! Усе сподобалось — і сам рецепт тарту, і фото! Дякую, Лесю. Він страшенно не піддавався фотографуванню, як не крутила все не те, тож дуже вдячна за похвалу. Дуже апетитно виглядає! Супер! Фотографії дуже гарні! Спасибі, він дуже смачний хоч і калорійний. Дякую, Настю! Він саме такий. Настя. дякую за фотозвіт. все правильно сік додається в заливку. Рада що пиріг сподобався. сiк додаеться до яблук у ньому їх проварюють з корицею. Прочитайте на початку рецепту все розписано. Все так гармонійно!!! Ароматно та красиво! !